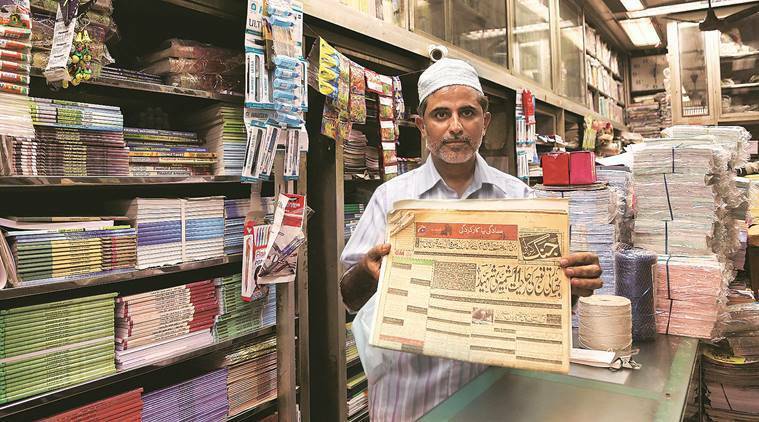 Mohammed Asif, the 50-year-old owner of the well-known Naaz Book Depot on Mohammed Ali Road in south Mumbai, has been working at the shop ever since he was a child. Set up over 70 years ago, the shop was opened by his late father Abdullah Haji Ali Mohammed, and its unique selling point was that it stocked Pakistani newspapers and journals, both English and Urdu. The publications had a diverse clientele — Muslims with family connections in Pakistan, Urdu newspapers which scanned it and picked up some of its content to reproduce in their publications and Pakistan-watchers, including students and researchers. But that USP is in danger now. Until February this year, there was no import duty on newspapers and magazines from Pakistan. However, following the Pulwama attack, India on February 16 hiked import duty on Pakistani goods to 200 per cent. When Asif reached the airport on February 19 to pick his regular monthly consignment of Pakistani literature sent to him from Karachi via a flight from Dubai, he had not foreseen what was to come. “One consignment comprising a few bundles — each bundle weighing nearly 5 kg, and the total about 40 kg — used to cost us around Rs 5,000. But since newspapers and magazines were also included in the recent import duty hike, I was asked to pay Rs 2 lakh. How could I have afforded that? Would the customers ever buy a magazine worth Rs 450?” he asks. Asif was forced to return empty-handed, but he regularly visited the customs office for 10 days hoping that the policy had been changed. He was told that things might return to normalcy after elections are over. But one cannot say for sure. As has been the tradition since his father’s time, Asif imports a mix of weeklies and dailies along with digests offering short stories and women-centric content in Urdu from a Karachi-based agent. Monthly digests by the name of Pakeeza, Khawateen and Shuaa, priced at 100 Pakistani rupees, are sold for Rs 200. Newspapers such as The Daily Jang, Naya Waqt, Dawn and Jasarat used to be sold between Rs 30 to Rs 50, keeping a margin of Rs 5 to Rs 10, depending on the titles. Asif would order 10 copies of each newspaper. For the first time in many years, Naaz Book Depot does not have these newspapers anymore. Though the digital versions of many of the newspapers are easily available, the shop used to attract diehard hardcopy readers, students, some of whom study Urdu, and collectors. Since the past month, every time a prospective buyer came in asking for a copy, Asif has had to disappoint them. In a sense, he says, it’s a connection broken with the readers of those publications in Pakistan too.